Design that gets noticed. 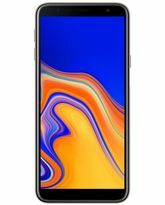 The newly updated Samsung Galaxy J7 Neo features a fully unified body with matching decorative accents for the home, camera and receiver functions. The result is a truly differentiated style that really stands out. Broaden your world of colour. 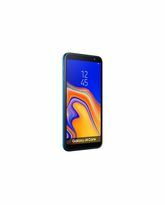 With its large 5.5” sAMOLED display Samsung Galaxy J7 Neo delivers brilliant image resolution with exceptional contrast ratio so you can comfortably enjoy an immersive viewing experience. Give your multimedia the edge it deserves. The Samsung Galaxy J7 Neo features an upgraded 1.6 GHz processor and 3 GB RAM to keep your device running smoothly. Add to this its 3,000 mAh battery with power saving mode you can enjoy long usage times with less disruption. Capture life the easy way. Samsung Galaxy J7 Neo features simplified camera functionality to take the hassle out of shooting memorable photos. Its clutter-free, intuitive interface allows for fast changing, letting you access different image modes and effects with a single swipe. customise the way you chat. The Samsung Galaxy J7 Neo allows for the set up of two accounts for the same Messenger with different purposes. Users can install and easily manage the second Messenger account simultaneously from the home screen and settings menu. Distinctively unique Design that gets noticed. 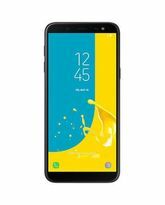 The newly updated Samsung Galaxy J7 Neo features a fully unified body with matching decorative accents for the home, camera and receiver functions. The result is a truly differentiated style that really stands out. Big, bold and beautiful Broaden your world of colour. 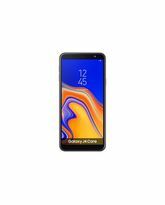 With its large 5.5” sAMOLED display Samsung Galaxy J7 Neo delivers brilliant image resolution with exceptional contrast ratio so you can comfortably enjoy an immersive viewing experience. Give your multimedia the edge it deserves. 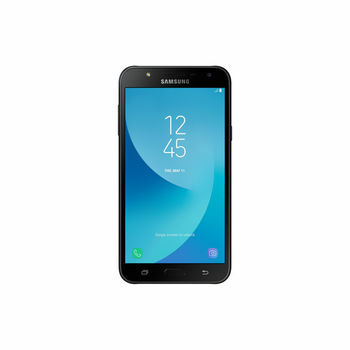 Quicken up performance The Samsung Galaxy J7 Neo features an upgraded 1.6 GHz processor and 3 GB RAM to keep your device running smoothly. Add to this its 3,000 mAh battery with power saving mode you can enjoy long usage times with less disruption. Look great in every frame Galaxy J7 Neo features a 5 MP front camera and enhanced 13 MP F / 1.9 rear camera with flash support for added precision even in low light. Shooting made simple Capture life the easy way. Samsung Galaxy J7 Neo features simplified camera functionality to take the hassle out of shooting memorable photos. Its clutter-free, intuitive interface allows for fast changing, letting you access different image modes and effects with a single swipe. 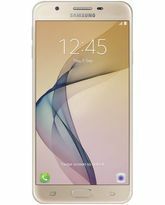 Hidden for your protection Samsung’s Secure Folder is a powerful security solution that lets you creates a private and fully encrypted space to store and hide content such as photos, documents and voice recording files under an additional layer of protection that only you can access. Synchronise your world Seamless management for your preferred content. Samsung Cloud lets you backup, sync, restore and upgrade your data through your Galaxy smartphone so you get access to whatever you need, whenever and wherever you need it. Dual identities customise the way you chat. The Samsung Galaxy J7 Neo allows for the set up of two accounts for the same Messenger with different purposes. Users can install and easily manage the second Messenger account simultaneously from the home screen and settings menu.